(Except for Castleford which will be open 8.30 am to 11.30 am for incoming calls and a limited delivery service to local customers). 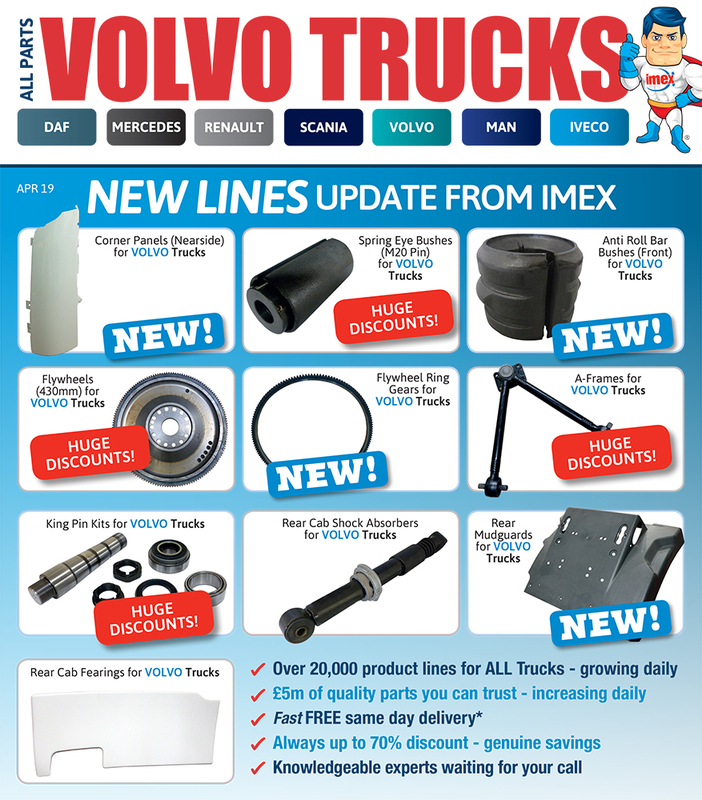 Our range of replacement Volvo truck parts is growing daily! We now stock corner panels, flywheels & ring gears, a-frames, king pin kits and much more! For more details on our range or for a competitive quote, call our parts experts today on 01977 553936, option 4. 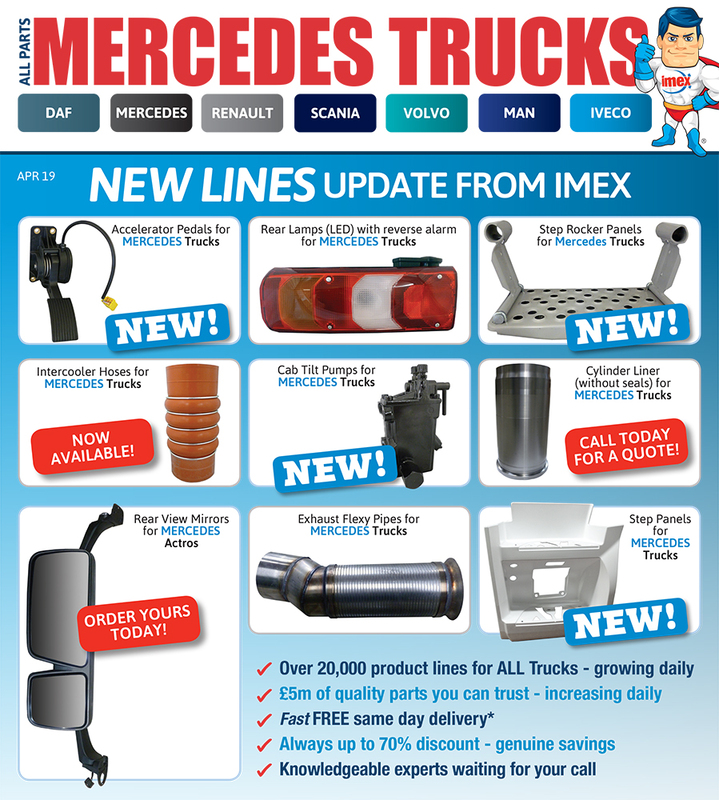 More new lines added to our increasing range of parts for Mercedes trucks! We now stock accelerator pedals, step rocker panels, cab tilt pumps, intercooler hoses and a comprehensive range of mirrors! 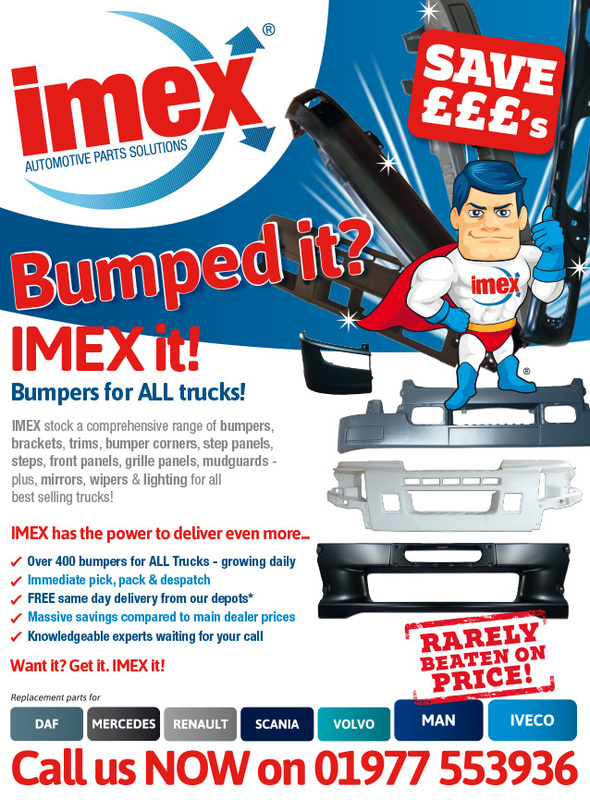 Call IMEX today for a competitive quote – speak to our parts experts on 01977 553936. 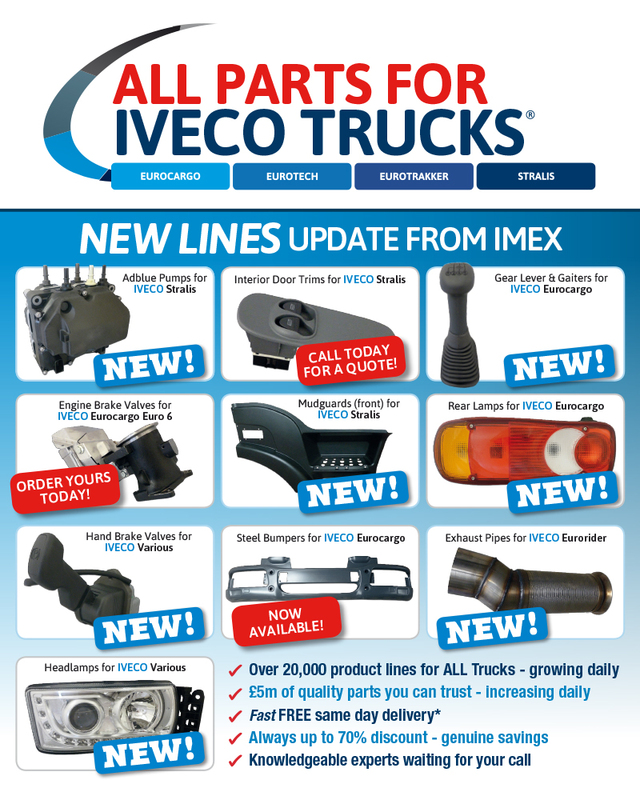 NEW LINES on parts for Iveco Trucks! You’ll be pleased to see that we’ve introduced new lines for popular Iveco models, including Adblue Pumps, Rear Lamps, Exhaust Pipes, Bumpers and much more! 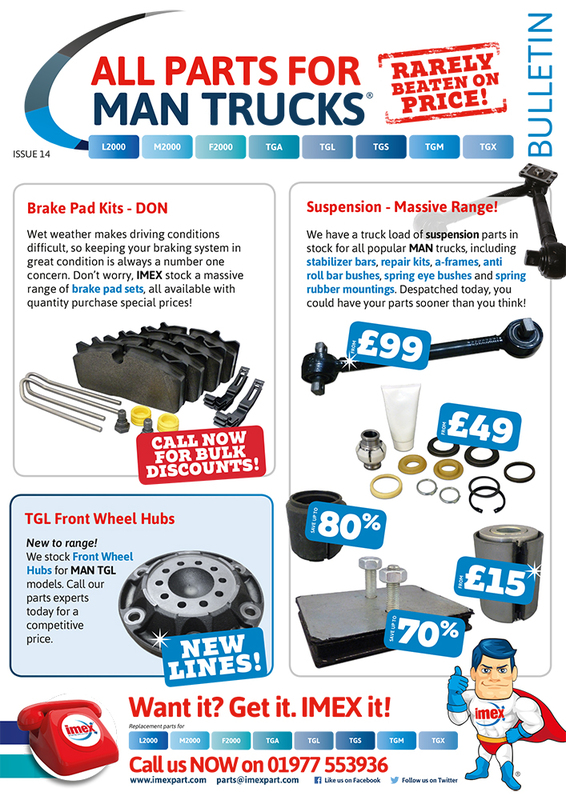 For the best price, first time, call our parts experts today on 01977 553936. 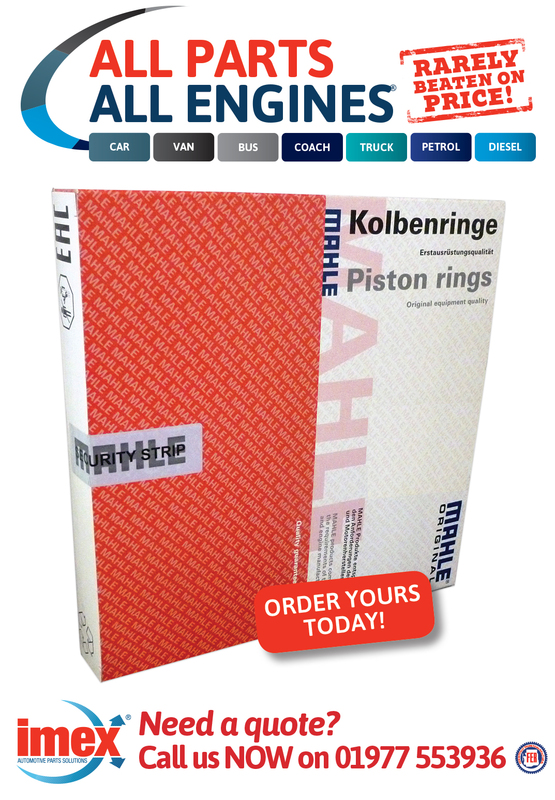 We stock Mahle Piston Ring Sets (1 Cyl) (3.5 x 3.0 x 4.0) for Scania P, G, R, T Series. DC13 engine type. 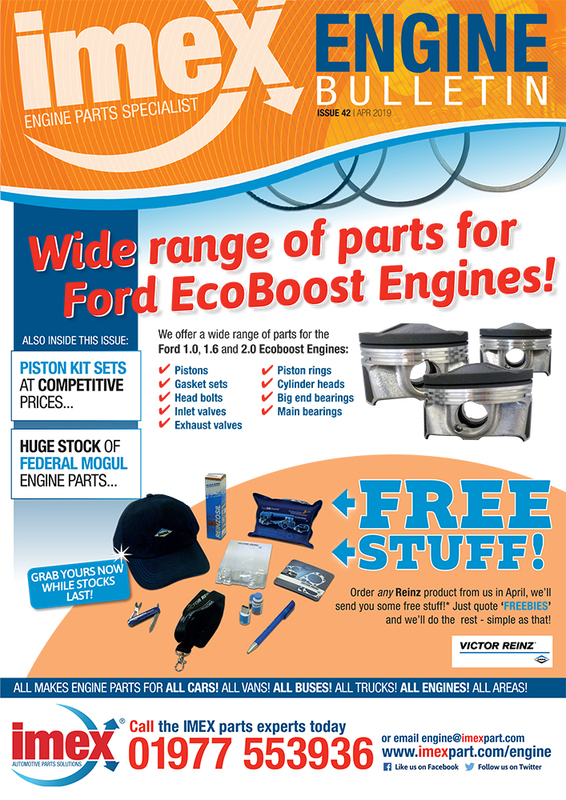 This recent addition to our Engine parts range is proving popular, call our engine experts today for a quote. 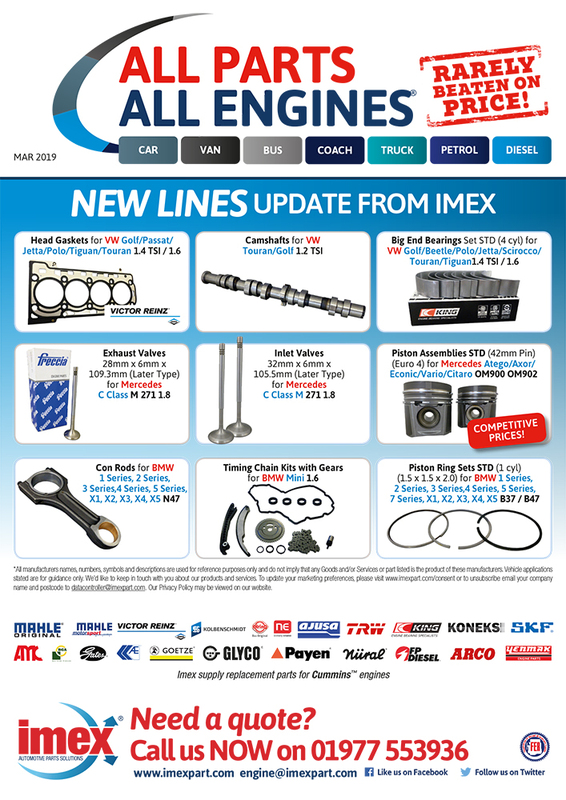 IMEX new lines for VW, Mercedes and BMW engines – in stock now! 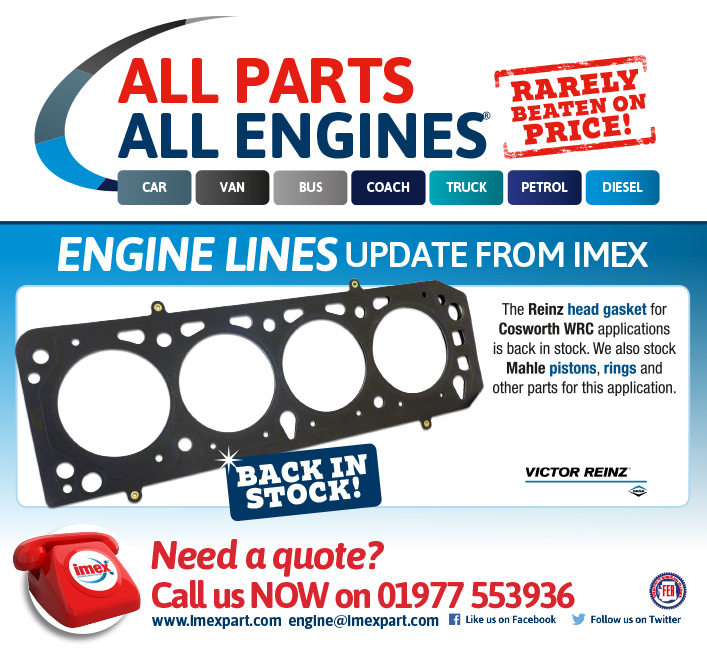 For a competitive quote, call our engine parts experts today on 01977 553936, option 2.